Changing a young child’s routine is a challenge most parents will face as their child reaches different developmental stages. Starting infant day care or going to sleep-away camp can be difficult for young children and the transition phase can be especially difficult if it’s their first time away from their home. Preparing them for this change is not something that can be done overnight, instead preparation starts well before their first day. Here are 5 things to do before your child’s first day to help them adjust to their new child care routine. All this can assist in creating familiarity and can help associate positive feelings about their new routine. This won’t happen with just one conversation – when communicating new ideas to young children, repetition is key. Talk to your child about their new child care facility and routine regularly and answer their questions with enthusiasm. and care. Making their new routine sound exciting and a normal part of their lives can help to ease any anxieties your child could be experiencing. If you have been your child’s primary caregiver, it is important to introduce the idea of your periodic absence. This can be particularly difficult for parents and children alike and can result in separation anxiety. Going on a date or running an errand and leaving your child with a babysitter can help your child get used to the idea of trusting someone else and not seeing you all the time. This will help them when they start their new routine, as they become familiar with someone else taking care of them and the understanding that you will be back. Children who are used to being alone or who have not had to share a primary caregiver can find it difficult to enter a space where attention is shared among them and their peers. Day care providers have to give their attention to more than one child at a time and your child will start to learn to share and become more independent. Knowing how to do certain things alone can help your child navigate their routine and feel empowered. Simple skills like washing their hands or putting on a jacket can make the process significantly easier. Try to practice as many of these skills before their first day – mastering just one can make a big difference. 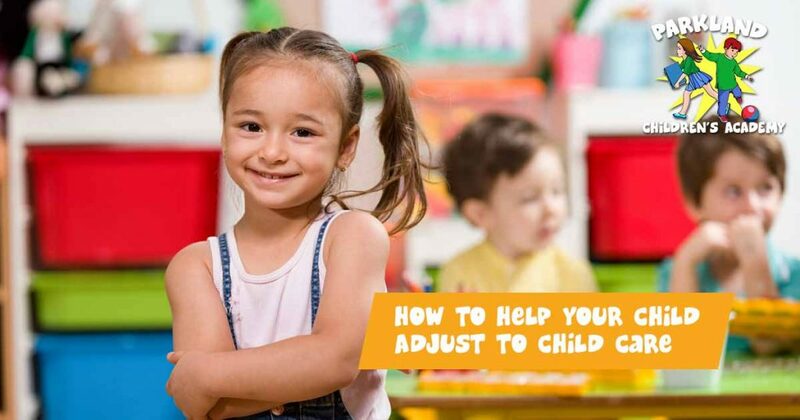 Adjusting your child’s routine can only benefit them and help make their adjustment a little smoother. Find out what their new child care’s nap schedule is and try to have your child nap at that time every day. A space filled with strangers can make any adult nervous, this is no different when it comes to young children. Taking your child to their new school before their first day will help them recognize the space and the people there. This can make the world of difference to their first day experience as they are likely to be less anxious as they know what and who to expect. Introducing the child to their classmates could help them make friends and can give them something to look forward to. 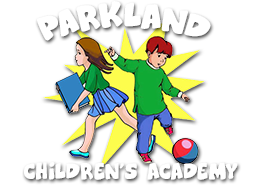 At Parkland Children’s Academy we are a family run pre-school for early childhood development and we know how difficult transitioning to a new routine can be for you and your child. Get in touch with us today and we can answer any questions or concerns that you have.